HAVE YOU BEEN SUED, OR WOULD YOU LIKE TO SUE? 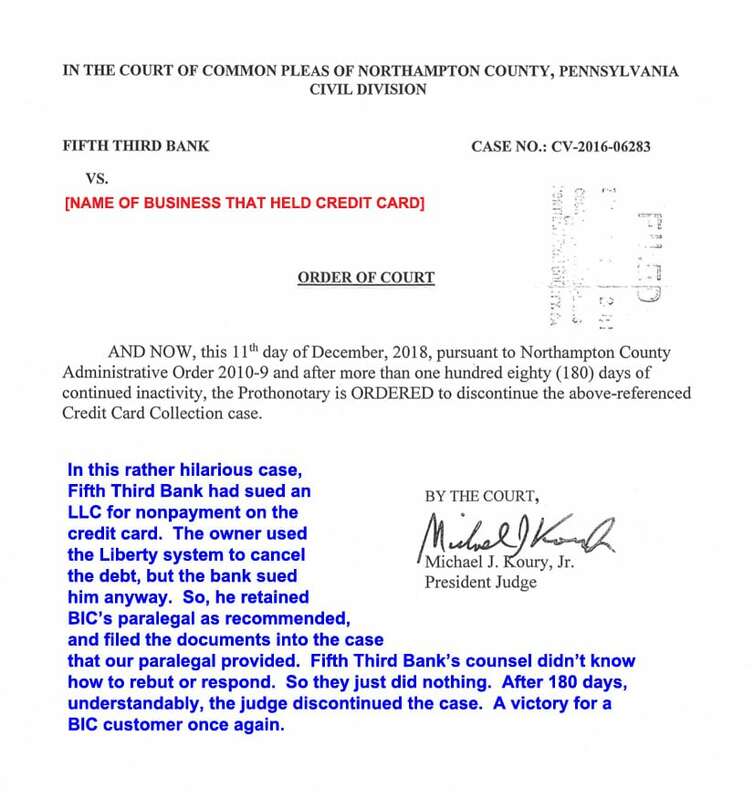 In all cases, customers of our Liberty system who have implemented it according to the simple easy instructions given, have had the lenders go away and cease trying to collect, sooner or later. 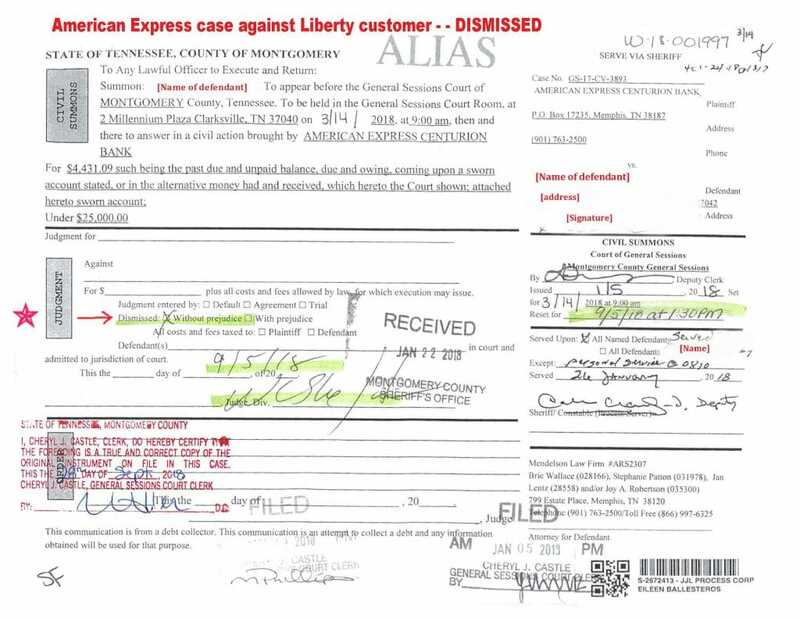 In one case, a customer purchased Liberty AFTER having been sued by Capital One. 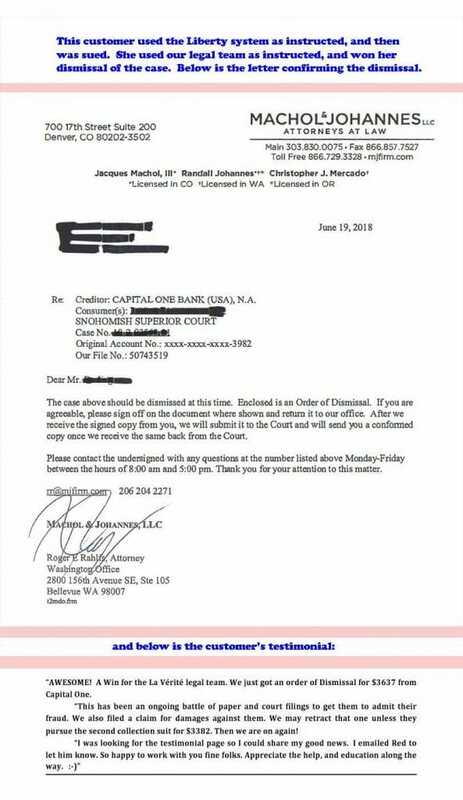 As soon as he presented the Liberty documents, the Capital One attorneys dismissed the case. He never even had to go to court. 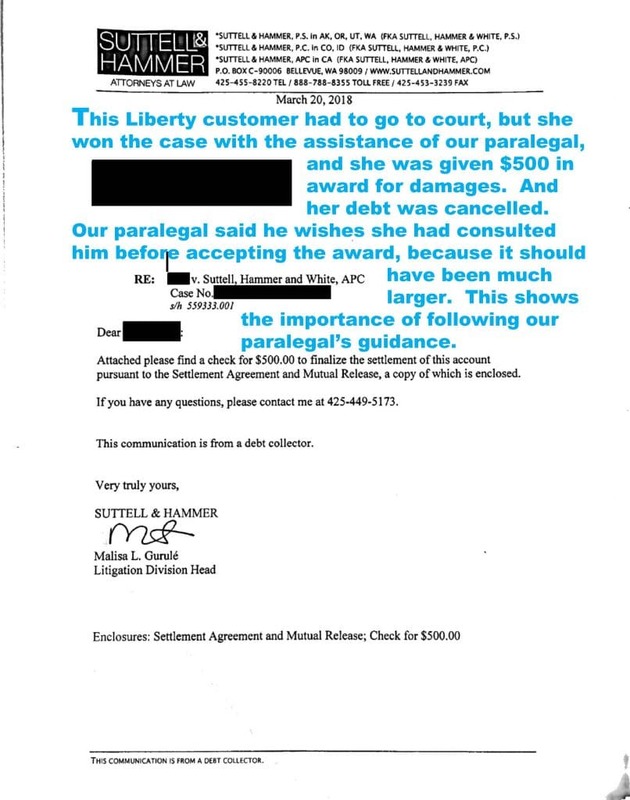 Out of thousands of Liberty customers, only a tiny few, around 0.5%, have been sued AFTER having used the Liberty system. 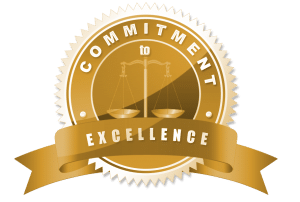 We provide a few of the best legal minds in America to assist in such instances, VERY inexpensively. And our 100% success rate continues even with these cases. NONE of these customers have lost their cases. Plus we have more and more legal allies and more and more powerful new information coming to us every week, to support further victories. Your cost will only be the $450 for the Liberty system, and if you already purchased it, then you’re already qualified there; PLUS a few hundred dollars - - which will vary somewhat from case to case - - for paralegal assistance. BUT, it will NOT be the THOUSANDS of dollars that attorneys typically charge. WE AT LA VÉRITÉ MAKE NOTHING ON THESE LEGAL FEES. 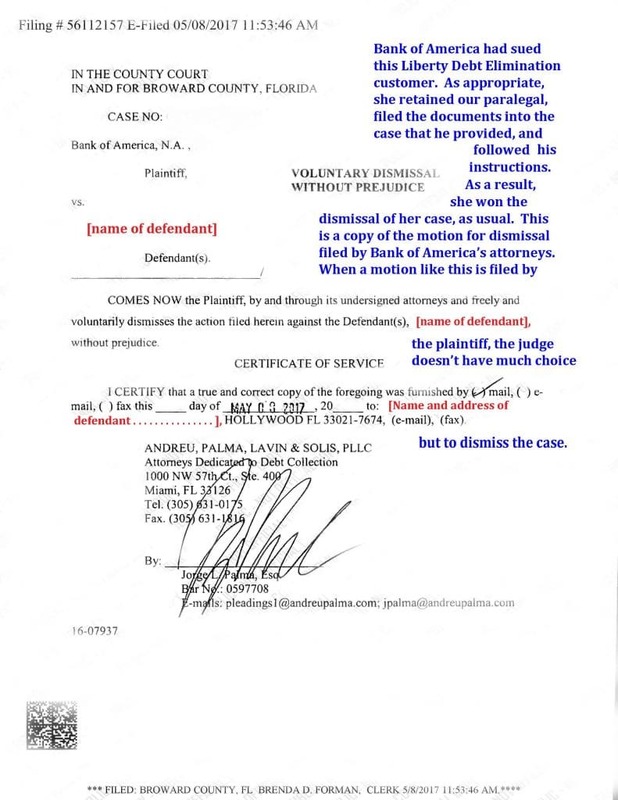 YOU PAY OUR LAWYERS OR PARALEGALS DIRECTLY. We simply provide referral to them as a free gift to you. 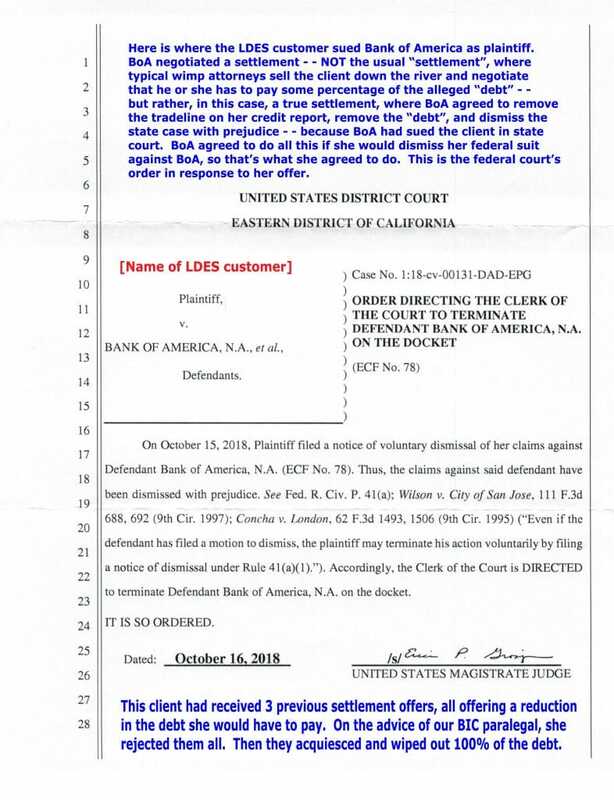 If you have implemented the Liberty system to cancel your debts and you are among the tiny minority who get sued, congratulations! Think positively about it! Do NOT go into fear! This is a fabulous OPPORTUNITY to WIN and to vastly strengthen your certainty in knowing how right you have been in challenging The Beast and its parasitic influence on worldwide society. You have been selected by The Universe to participate in a more advanced training in being a Light Warrior! So . . . take heart . 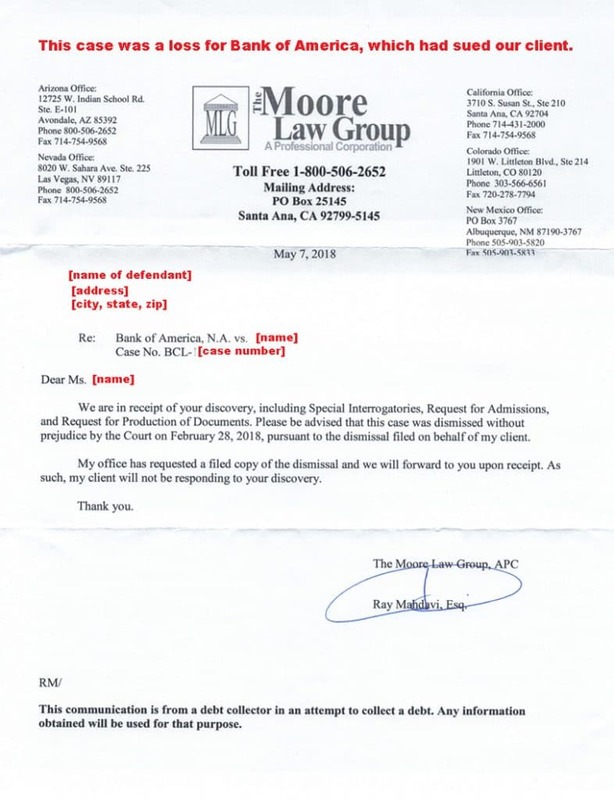 . .
FORCE the banking crime syndicate to finally PAY ATTENTION to the Liberty letters you have been sending them, and to “put up or shut up” – – to cease and desist further collection activities. FORCE them to stop calling you, and you can even collect awards for damages for every illegal collector call. 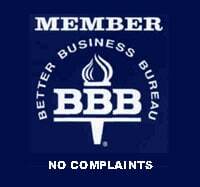 FORCE credit bureaus to restore your proper credit and eliminate “late” or “default” blemishes from your reports. To do so, you will need to sue the credit bureaus or the banking crime syndicate that has abused you. It will take a lawsuit using the Liberty material to be litigated in court to stop it. 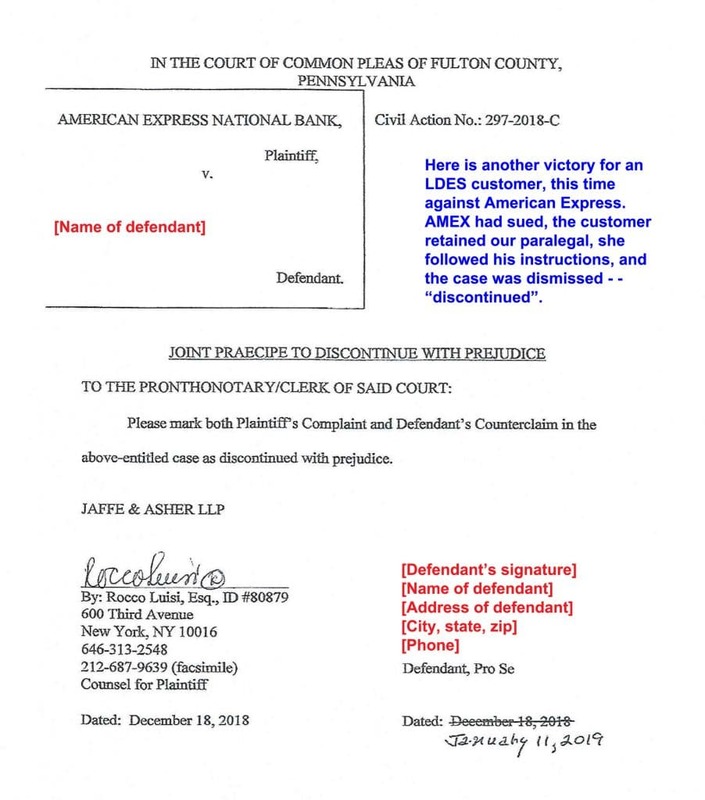 The Liberty content, if incorporated properly into a lawsuit, with you as plaintiff, shows the court that the so-called “loan” debt was fraudulent and invalid. 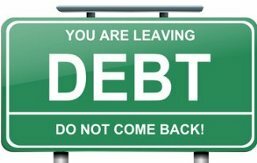 This removes the whole foundation of all their debt-related abuses, and forces them to give you your remedy. Very few lawyers exist who have the knowledge and the guts to be able to take on cases like these. Most attorneys provide bankruptcy proceedings at best. Almost NONE of them will actually attack the banking institutions at the heart of the scam that the bankers have been running, because they’re afraid of losing their licenses. We have found a few of the very best, and they are the ones to whom we can refer you. These are not "attorneys" who "represent" you in court. These are far superior lawyers and paralegals who know laws and legal procedures that are not taught in most law schools. These are the ones who know how to make you WIN for a mere few hundred dollars. Attorneys, by contrast, would charge you THOUSANDS of dollars and then would sell you down the river. At best, they might get your debt negotiated down somewhat. At worst, you would lose completely and of course, you would never get the money back that you paid them in legal fees. Instead, our powerful natural law lawyers and paralegals are among the few who have dedicated their lives to helping people defeat debts, taxes, and the enslaving corruption of big government and big corporations. They are fearless and unusually highly skilled. They know how to make you WIN. This procedure simply involves a few hundred dollars in fees for which they prepare legal documents for you to file in court and the instructions for HOW to file them. You won't have to do any studying, you won't have to say much, if anything, in court, and you won't have to "represent" yourself. All you will do is file the paperwork they give you and then you stand on the strength of what is in the paperwork. 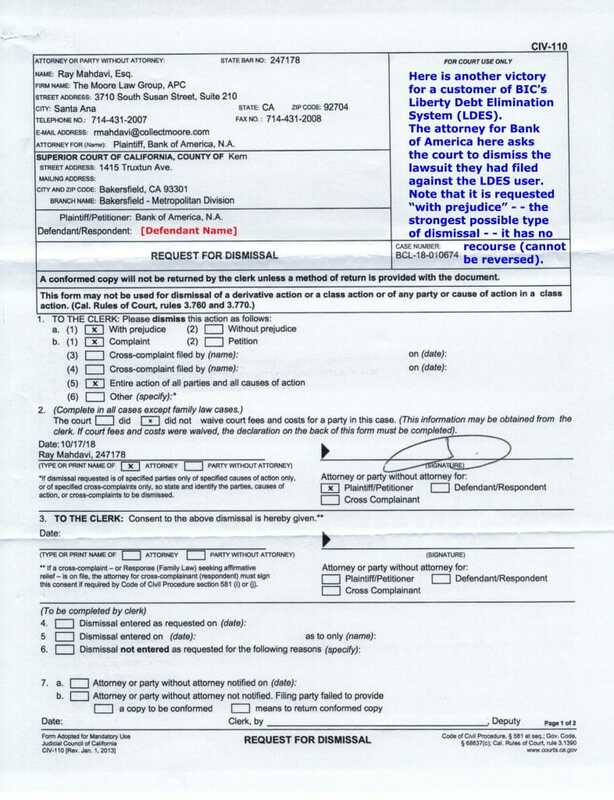 The paperwork will be based on the essential allegations in the Liberty debt elimination documents. As of this writing, this strategy HAS NEVER ONCE FAILED FOR ANYONE WHO HAS USED IT. The banks and pretender lenders are powerless and defenseless against these allegations. Your first step is to purchase the Liberty system if you have not done so already. Then we will put you in touch with our legal team, and they can put together for you the documents needed to win. your request to a member of our legal team.